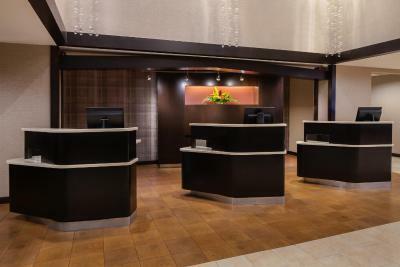 Lock in a great price for Courtyard by Marriott Los Angeles Pasadena/Old Town – rated 8.7 by recent guests! 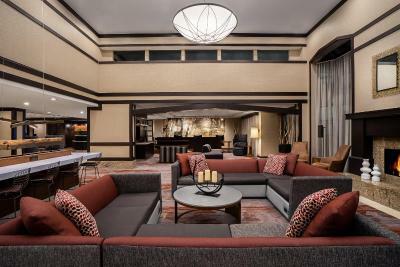 I have recently started dating someone and this hotel and location is the perfect meeting spot between our homes. Its is a comfortable drive for both of us to make. The hotel is peaceful, pleasant and a pleasure to visit. The staff is kind, courteous and thoughtful. Last week I enjoyed a cocktail as I waited outside in the courtyard by the pool for my date. It was a bit breezy and a host asked it I would like for her to turn the fire pit on. Very Nice! 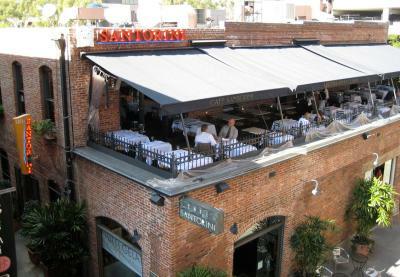 We also love that restaurants, bars, stores are walking distance from the hotel. We really enjoyed our stay and the staff went above and beyond to accomodate us! Bed was very comfy and we slept like babies! Everything, especially the staff was wonderful. Kind, helpful, cheerful!! Food was great! Valet excellent! Staff friendly,prompt service room clean except long hairs not belonging to me on mysheets, I slept in other bed. Excellent hotel and location near metro and old town shops/restaurants. Brent was super helpful at check-in. The hotel had reasonably priced food for both room service and in the lobby. There are comfortable places to sit and eat and also a nice courtyard with attractive pool and hot tub. I needed to use the business center last minute to print a parking pass and it all worked great - even at 5 am. The room was spacious, up to date and clean. The staff was accommodating and very friendly. We used the valet service and the staff was on point. The hotel was clean, and quiet. The staff were professional, the super early check in was just what I needed after a 5 hour drive. The food at breakfast was excellent. I loved the location. There was plenty of restaurants within walking distance, which was fun. The staff were very helpful, nice and professional. They really made the stay more pleasant. 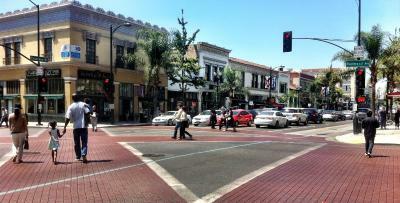 It is in walking distance to the old center. Parking is easy. 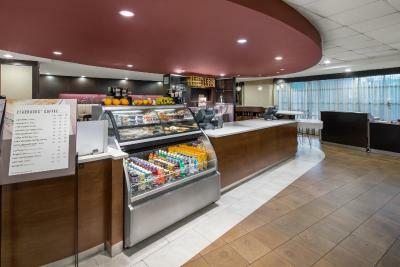 Courtyard by Marriott Los Angeles Pasadena/Old Town This rating is a reflection of how the property compares to the industry standard when it comes to price, facilities and services available. It's based on a self-evaluation by the property. Use this rating to help choose your stay! 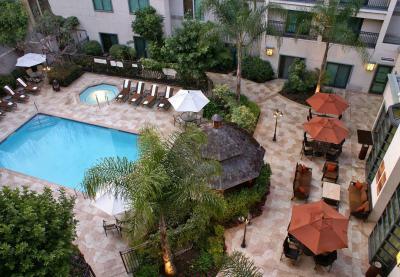 Courtyard by Marriott Los Angeles Pasadena/Old Town is conveniently located off I-210, just 27 miles from LAX Airport. It features an outdoor swimming pool. Free WiFi is provided throughout the hotel. 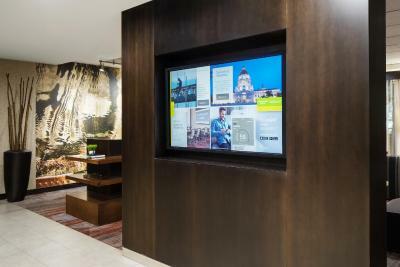 All guest bedrooms at Courtyard by Marriott Los Angeles Pasadena/Old Town are air-conditioned and are equipped with satellite TV, a radio and an iPod docking station. In addition every room features a well-lit work desk. Guests can go for a workout in the on-site fitness center. 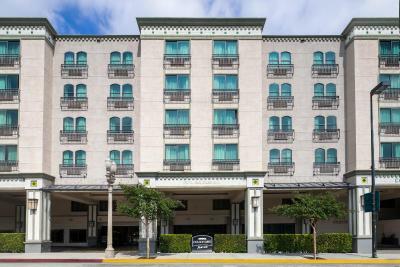 Courtyard by Marriott Los Angeles Pasadena/Old Town is 2 miles from both the Pasadena Rose Bowl and the Kidspace Children’s Museum. 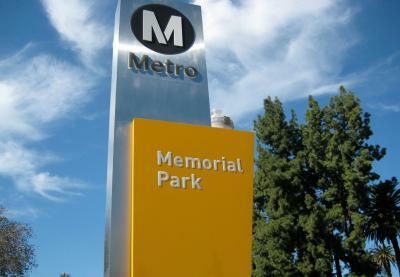 The hotel is 13 miles from Universal Studios and 9 miles from Dodger Stadium. 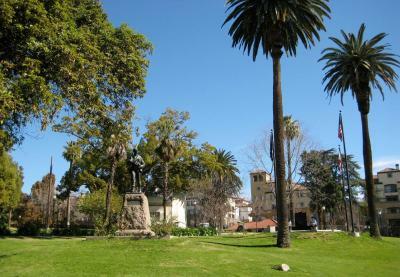 This property also has one of the top-rated locations in Pasadena! Guests are happier about it compared to other properties in the area. 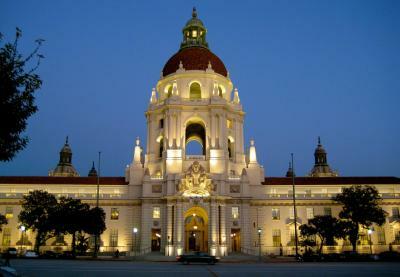 This property is also rated for the best value in Pasadena! Guests are getting more for their money when compared to other properties in this city. 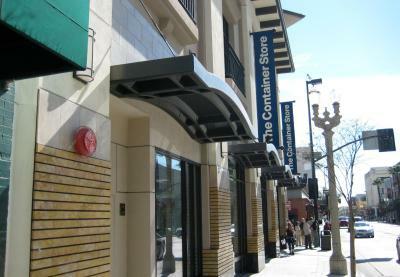 When would you like to stay at Courtyard by Marriott Los Angeles Pasadena/Old Town? Offering cable TV, this room comes with tea and coffee-making appliances, a fridge and a microwave. A sofa bed is included. Public parking is available on site (reservation is not possible) and costs USD 22 per day. Boasting pool views and cable TV, this room comes with tea and coffee-making appliances, a fridge and a microwave. A sofa bed is included. 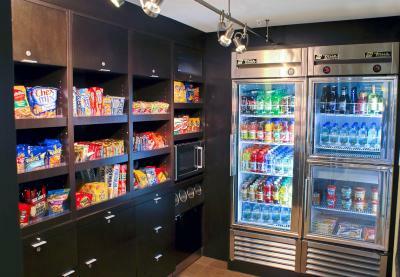 Offering cable TV, this room comes with tea and coffee-making appliances, a fridge and a microwave. This double room has a iPod dock, microwave and cable TV. A refrigerator is also available. 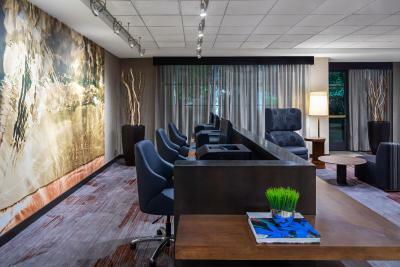 This suite features a seating area, air conditioning and iPod dock. A refrigerator is also available. 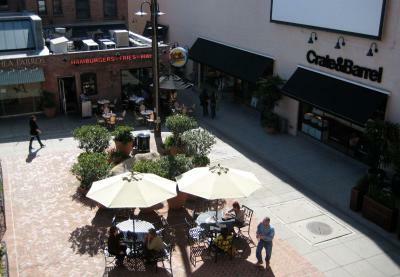 The newly renovated Courtyard Los Angeles Pasadena/Old Town is minutes from the Rose Bowl & LA attractions. 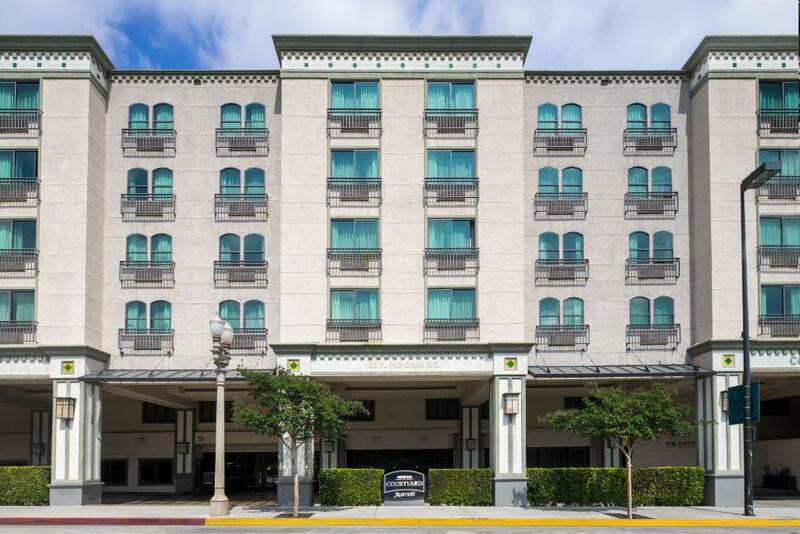 In Old Town Pasadena, with 314 spacious guest rooms & executive suites, onsite dining, fitness center, pool & 10,000 sq ft of event space. 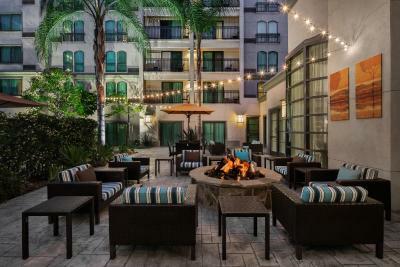 House Rules Courtyard by Marriott Los Angeles Pasadena/Old Town takes special requests – add in the next step! 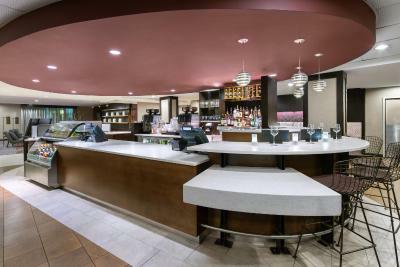 Courtyard by Marriott Los Angeles Pasadena&#47;Old Town accepts these cards and reserves the right to temporarily hold an amount prior to arrival. 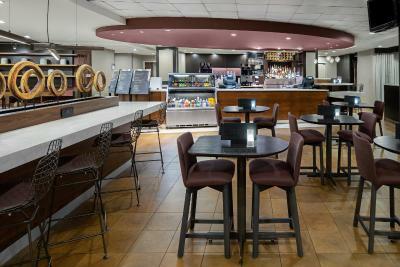 Courtyard by Marriott Los Angeles Pasadena/Old Town accepts these cards and reserves the right to temporarily hold an amount prior to arrival. Please note: Self parking and valet parking are available at a per day fee. Please contact property for pricing and details. The vanity in the bathroom was small. The breakfast was fantastic! Many many choices and the freshly prepared omelette and banana french toast were both delicious. The staff was extremely helpful on many counts. Dinner also was quite good. My only complaint was the ‘air conditioner’ in the room. The switch did not function properly, so that it was either ‘fan on or off’ and ‘air conditioner on high or off’. This made sleeping comfortably very difficult. Therer has no record of my reservation! They tried to call Booking.com but no luck. Fortunately they had a room and it was cheaper than your price! My room was on 2nd floor close to the cafe on the first floor. The cafe starts to make coffee and bread from 5 am and you can smell it from your room. That strong smell woke me up. I wanted a quite room. The room was quite but the strong smell in the early morning was unbearable. And the room was way too dark. The lights are yellowish and it's hard to read anything under it. 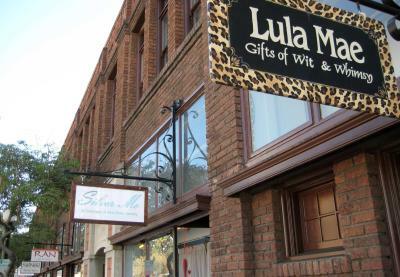 The location was good and the staff were friendly. The lady who checked me out was really nice and helpful. the bill charge is much higher than i booked price. construction across the street woke us up at 6 a.m.